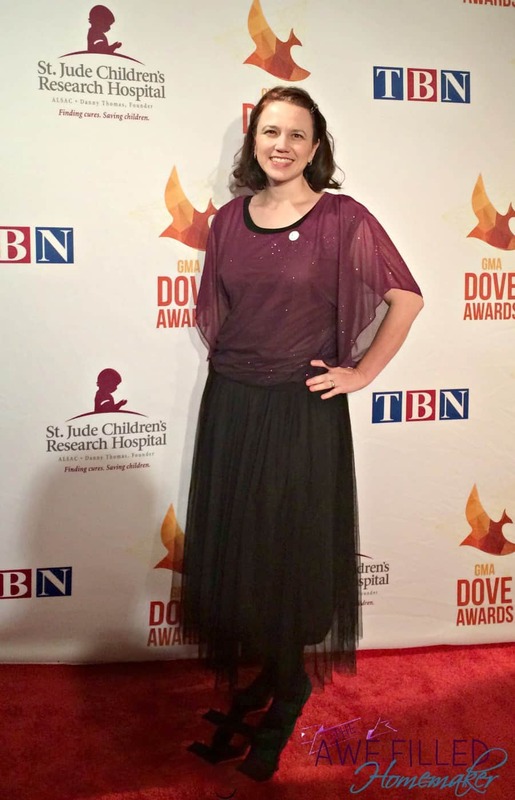 Modest Monday: What I wore to the Dove AWARDS!!! 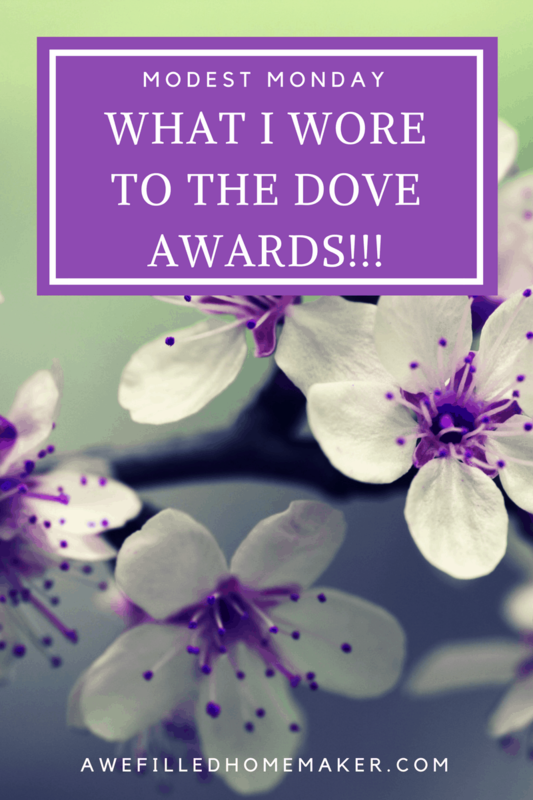 Recently, I posted HERE about the wonderful opportunity I was afforded to attend the DOVE Awards through my affiliations as a Family Christian Store blogger. From start to finish the night was nothing short of remarkable. However, I went through a lot of unnecessary drama leading up to this night. I had picked out “the perfect dress” weeks prior to the awards. I was beside myself filled with excitement. You remember that feeling of excitement when finding the perfect dress for your prom or, better yet, your wedding? I had that feeling all over again with this dress. The company I ordered the dress from guaranteed the dress would arrive prior to my departure for the awards. In fact, I was guaranteed that it would be here by the Friday before the Dove awards. Fast-forward to the Friday before the awards and no dress! I called the company and it was routed to Cincinnati because the company shipped it to the wrong zip code. Cincinnati is just a few hours drive away, and if I would have known this I could have asked my mother-in-law to pick up the dress for me (she’s about 20 mins away from Cincy). But the travels of the dress doesn’t stop there. The dress was then re-routed to Louisville where the shipping company’s distribution center is located. Once I was informed of this, I called the shipping company and requested they HOLD the dress in Louisville and I would pick it up on Monday as I drive down to Nashville. “No problem Laura. I will put a note to hold the dress. It will be there for you to receive.” I arrived at the mail center in Louisville and guess what? No dress! They didn’t hold it even though I had confirmation they were supposed to AND their system said they were supposed to. It was like this dress was on a military reassignment, bouncing from one base to another. If the dress wasn’t in Louisville, where do you think it was re-routed to? If you guess West Virginia (its ORIGINAL destination) then you guessed right! Ladies, I started crying right there in the mail center. I don’t think they knew what to do with me. You know that moment you have spent months, weeks, or even day planning for, just to witness Murphy’s Law ruin your all your plans? My perfect plan was vanishing in front of my eyes. I had to pray for a lot of grace in order to pull myself together. In fact, at one point I had to leave and collect myself. In the end there was nothing I could do. The shipping company assured me they would re-route the dress to Nashville and I would receive it that day. Although I appreciate their willingness to offer a fix to the problem, at this point it was too little too late. Instead of taking the time to get my hair professionally done, manicure, pedicure and all the other pampers we ladies take delight in for these special moments, I spent the majority of my time worrying about what I was going to wear. I was there to represent Family Christian Bookstores and I didn’t want to disappoint them on my first official blog event. 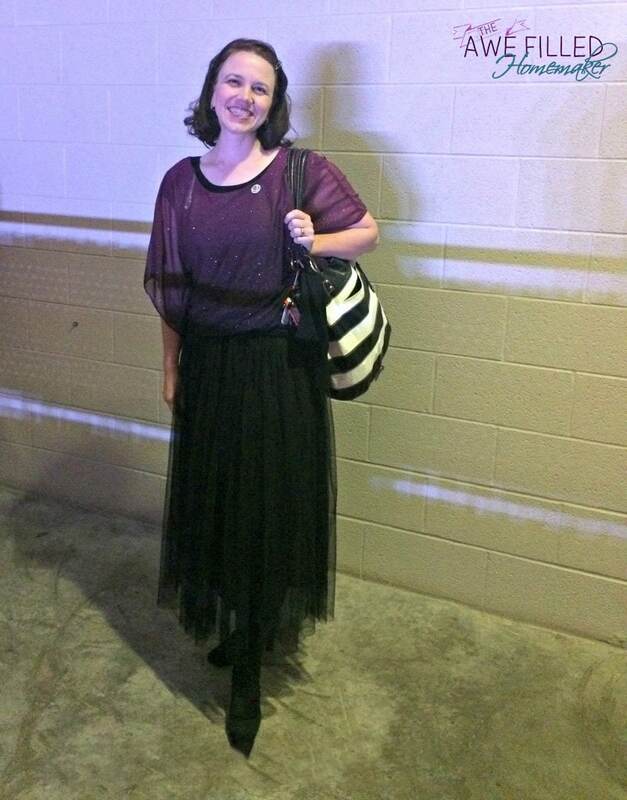 For whatever reason, when I was packing for the DOVE Awards, I grabbed some extra outfits including the skirt I wore. However, I didn’t have a great top to match with the skirt, so I did what any woman would do…I went shopping. Although this outfit wasn’t my vision, I had to make the most out of a bad situation. As I left the hotel for the awards show, I had issues and concerns running through my head. I wanted the dress to be perfect. I wanted my hair to be perfect. I wanted this day, this event, this situation to all be perfect. I couldn’t get past the dress I had picked out. Then my sweet husband sent me a message. “It doesn’t matter what you wear. You will be beautiful!” Sigh. Ladies, he IS a keeper! After his message I prayed and it also helped that I was reading a great Godly book. I realized that the perfection I was seeking didn’t exist and it certainly wasn’t hinged on a material item like a dress. I was going to the DOVE awards! That in itself was a blessing. The Dove awards are all about God! So why was I turning the focus on my dress? Modesty is not just about the clothes we wear, it is more about our heart. The days leading up to the awards show, my heart was wrapped up in a dress I couldn’t have. I realized I had two choices. I could let it ruin my night and my spirit for my Lord, or I could put the focus back on Christ where it should have remained throughout the situation. As I walked into the DOVE Awards, I felt peace come over me. I felt wonderful about my outfit, the message my hubby sent, and the peace God provided. I met up with my blogger friends and was blessed with wonderful fellowship. I attended an awards show where Christ was center. Thank you Jesus for my lesson on Modesty. Thank you for my many blessings. Soon I will share more about the night, but for now here are the pictures of what I wore! 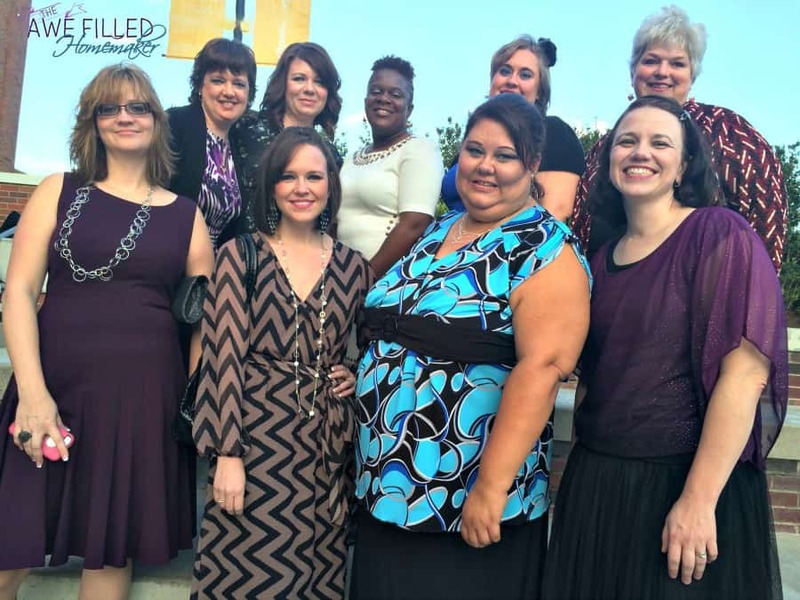 This is our Family Christian Bookstore Blogger Group who attended the DOVE Awards! PS: Special thanks again to Family Christian Bookstores for their blogger program AND for sending me to the Dove awards! Your husband was right. You rocked this outfit. I love it. If you hadn’t said so, I never would have known this wasn’t your first pick. I do hope to see the other dress sometime, though. You looked beautiful that night and I loved your outfit. 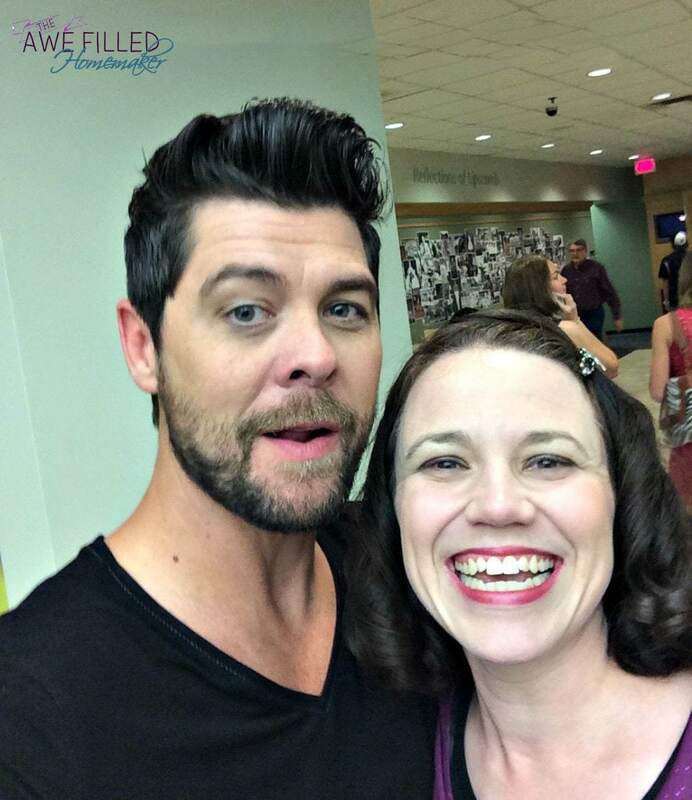 I’m not sure how “the perfect dress” could have looked any better and now, almost a month later, I barely remembered what you had on… What I remember most about you is your smile, especially after that photo with Jason Crabb; you were glowing!! I think the outfit looks fabulous! Oh and your hair and makeup are great, too. What an awesome experience!